Childhood polio left Leonard Kriegel without the use of his legs. In Flying Solo, he writes in a lyrical, uncompromising voice about the interlaced themes of courage and masculinity against the backdrop of loss. Tracing memories back to his coming of age in the 1940s and 1950s, he portrays an interior life partly sustained by traditional visions of manhood, partly raging at the impossibility of fully living them out. 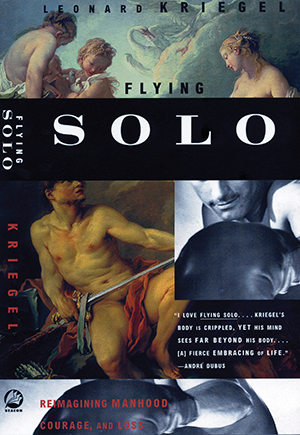 Flying Solo is beautiful personal writing that will change the way we think about manhood.